Theory "Nikayla" top in narrow striped print. Approx. 15.5"L down center back. Clasp closure and keyhole at back. 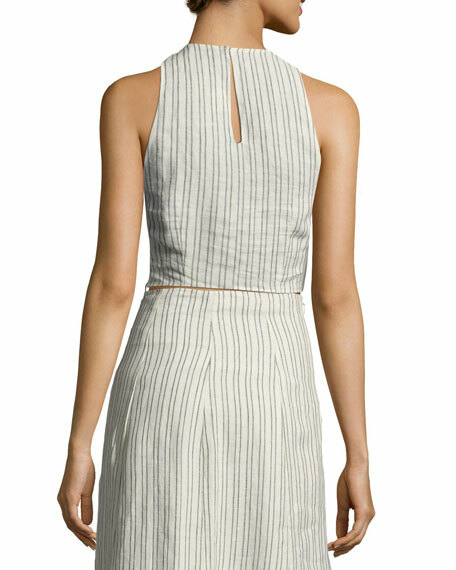 Cropped hem sits slightly above natural waist. For in-store inquiries, use sku #2166754.